Palmerbet Sports Team have A-League tips for every game from Week 7, including a Saturday night barnburner between Perth Glory and Melbourne City. Final Thoughts: After a promising start Western Sydney have endured a dreadful fortnight, losing 2-0 at home to Newcastle and 4-0 away to the Victory. The latter was virtually all over at halftime, down by three goals. Central Coast remained anchored to the bottom of the table as the only club without a win. The Mariners started their campaign with two handy draws but have lost four straight. But it could have been so different in their past two: they conceded in stoppage time in a 3-2 loss in Perth, and led early against Sydney before being run down 2-1. Wanderers boast six wins and two draws in their last nine clashes with the Mariners. Remarkably, though, the home team is winless in the last six games of this rivalry. Last season the teams drew 2-2 in Sydney before WSW picked up two wins in Gosford. Of the two sides, the Mariners have been far more impressive in recent weeks. We’re prepared to back the visitors to come away with points on Friday night. Final Thoughts: Sydney FC bounced back from their first loss of the season – a 2-1 home defeat to the Victory – with a win by the same scoreline over the last-placed Mariners. They were forced to do it the hard way after conceding the first goal but Adam le Fondre and Brandon O’Neill scored to get the three points for the two-time premiers. Wellington remain second-last but they pulled off a surprise 1-1 draw at home against Perth in Week 6. Roy Krishna opened the scoring for the Phoenix but the couldn’t hold onto the lead, with the Glory equalising in the 82nd minute. Sydney are unbeaten in their last six against Wellington, winning five. Last season the Sky Blues won their three encounters with the Phoenix by a combined 11-3. Despite being below their best in recent outings, Sydney FC look good value to chalk up a comfortable win. Final Thoughts: The defending champs have put a two-loss start to the season well behind them, winning their last four in a row. After rolling Sydney 2-1 on the road, the Victory pumped Wanderers 4-0 with star import Keisuke Honda scoring for the third week in a row. Adelaide have moved to fourth after winning three of their last four games. They followed up a come-from-behind 3-1 win in Wellington with a 2-1 home win over the Roar. Ben Halloran scored twice in the space of six minutes either side of halftime to set up the victory. The Victory have won five and drawn one of their last six against United. Last season Adelaide managed a 2-1 upset in Melbourne, but the Victory responded with a 3-0 regular-season win over the Reds at home before prevailing 2-1 during the playoffs. Adelaide are chasing just their third win in their last 18 encounters with the Victory. Winning their last two home games by a combined 8-1, the Victory are the clear play in this one. 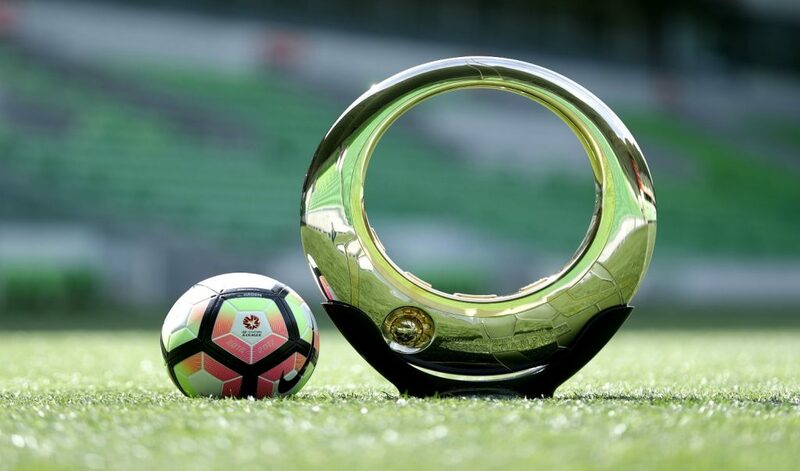 Final Thoughts: Perth Glory’s undefeated start – featuring four wins – continued when Diego Castro scored late to salvage a 1-1 draw in Wellington. While it wasn’t the rejuvenated Glory’s best effort this season, there’s no question they are a far more consistent and resilient outfit than we’ve seen in recent years. Consistency is something Melbourne City are searching for, either being kept scoreless or holding their opponents scoreless for the past four rounds. But they responded to a poor 2-0 loss in Brisbane in Week 5 with a rousing 3-0 win at home to Newcastle on Sunday. Perth have had the wood on City in recent times, winning five of their last eight clashes with two drawn. Last season the Glory won 3-1 in Melbourne and 2-1 at home either side of City’s 2-0 win in Perth. City have been too erratic to have confidence in on this road trip. Final Thoughts: Newcastle Jets looked to have taken a couple of steps towards their 2017-18 form with a 1-1 draw against Sydney in Week 4 and a 2-0 away win over Wanderers in the following round. But it’s back to the drawing board after their 3-0 loss to Melbourne City last weekend. Likewise, Brisbane Roar followed up their first win of the season in Week 5 – a 2-0 home success against City – with a 2-1 loss away to Adelaide. The Roar need to create more chances for the likes of Adam Taggart, who is second on the A-League’s goal-scorers list with five of his team’s modest tally of seven goals. The Jets have won five of their last six against the Roar, including all three encounters between the clubs last season. With both sides struggling for consistency, confidence and rhythm, we can’t go past the draw as the best option.